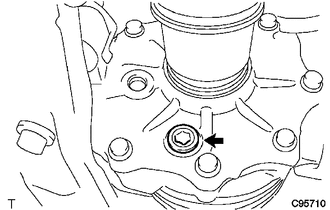 (a) Remove the 2 bolts and 2 nuts. The nuts have tabs to prevent them from rotating. 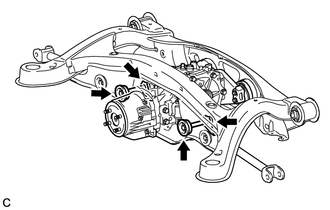 (b) Remove the 3 rear mounting bolts and rear differential carrier assembly with differential support from the rear suspension member assembly. 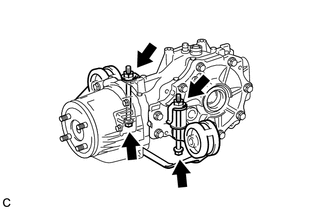 (a) Remove the 3 bolts and differential support. 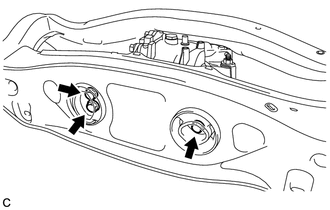 (a) Remove the 2 bolts, 2 nuts and rear No. 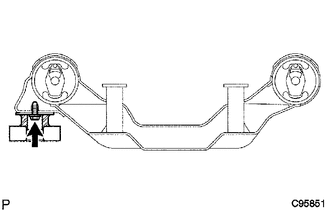 1 differential support. 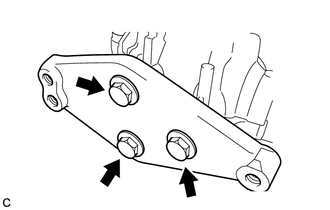 This step should be performed only when the rear differential dynamic damper is being replaced. 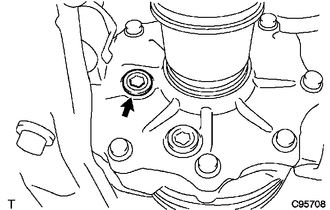 (a) Remove the bolt and rear differential dynamic damper.